Today is April 1st, the first weekly post after the March Challenge. It’s nice to have this day. It kind of feels like a bonus, a 31 plus 1 deal. Back to the old pattern of slicing once a week, but with so much more than before March. Join us! 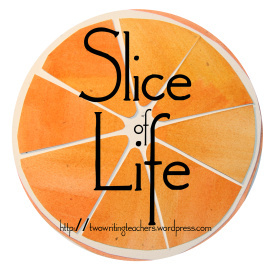 Read a post from this week or share a slice at Two Writing Teachers. Last Sunday I was lurking on #titletalk: subject, poetry. The wealth of resources and knowledge being offered was staggering. While this is great, it’s also a bit intimidating. You see, I have this fear of poetry — not reading it. Reading poetry can shatter me. I marvel at it. Writing poetry (with no one looking) can be fun or cathartic. The fear factor comes in when sharing is involved. Poetry I’ve written is something I tuck away as a secret, never intended to see the light of day. In my mind it’s unworthy, something that doesn’t have meaning to anyone but me in the moment. The poetry I’ve put out for others to see is what I think of as “mock” poetry: playing with my narratives creating erasure poetry or using others words to create found poetry. But poetry, created with intent, that I avoid. Maybe I fear places I might have to go to find it. My thought and talk are more narrative in nature. With discipline, that talk can bounce to an argument stance. Informative writing requires a bit of research or expertise, but the form is clear and rather detached. Poetry is something that seems to live in a different space, seemingly disassociated with talk. Hidden underneath. Something that takes patience, to tease out. The nature of life is hurried. Natural and emotional spaces are submerged and the poetry muse is easy not to see. But can I continue to ignore? I saw this tweet. If I’ve learned anything from SOL, it is that writing is possible. And this community is supportive, even in scary places. So I’m jumping, for April and for my students and maybe for me, knowing that I’m doing it with a net. days gone and miles later. Thank you Tara, Anna, Dana, Stacey, Betsy and Beth for creating a safe space to share pieces of our lives. I guess I might say you don’t need a safety net, but maybe that’s for feelings, too. This is a lovely capture of a memory, Julianne. That last line, gorgeous. Happy April! Julieanne, I enjoyed the powerful emotions in your poem! Images like “twirly slide” to “memories zip past”…that made me think of a zip line. I really liked it. I totally GET your fear. I feel EXACTLY the same way. I like to write poetry, but sharing it?!?!? It’s more personal…it’s like a microscope examining the deepest parts of my soul! Yikes!! But, I’m jumping in too. I’m going to try and sign up for Chris’s workshop. You?!?! I HOPE SO!!!!! I’d love to take this journey (scary journey) together! This is so lovely, Julieanne. Your description brings this scene to life, and more than a memory or two of a similar park. I agree with Linda about the safety net. So happy you were brave enough to share! Yay to you for being brave. I love it when people circle around to a repeated line. Your “A familiar place,” was a nice touch to this poem. I would have to agree with Linda, no safety net needed, keep jumping. This is a beautiful poem. The descriptions create wonderful, vivid pictures in my mind. Keep writing and sharing your poetic words. You’re very talented! That last stanza just slays me… and thanks for the reminder about Kylene’s wise words. I never write poetry with my kids – time to change that! I know how you feel! My friend Beth compared writing to dancing and I told her I like to do both only when I’m alone in my apartment. But you clearly have an inner poet. I love the title and then all of the imagery and emotion that followed. Keep it coming! Your poem has feeling, images and music to it. It makes me a bit sad. You are light years ahead of me when it comes to poetry. I like poems for children, The ones for adults often make me feel that the poetry language part of my brain is missing. I just do not understand. 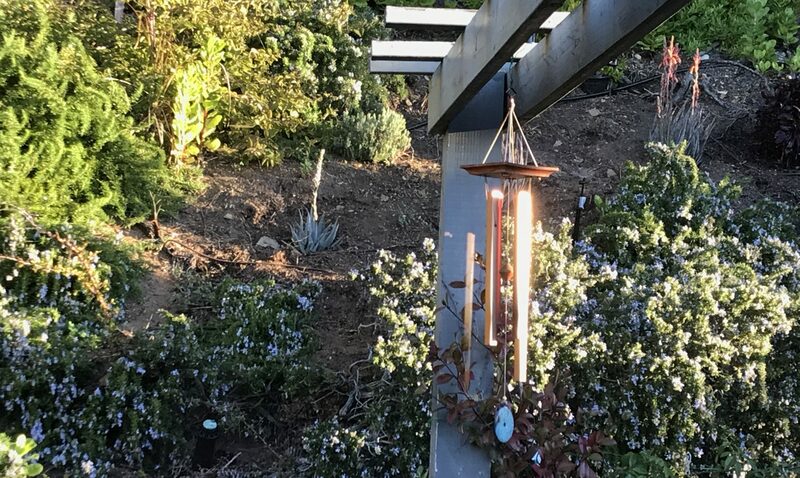 When it come so to writing poetry – I am happy with my poemish experiments. Wonderfully nostalgic! So few words create such an image, you CAN write poetry. Don’t listen to that inner critical voice. Your poetry voice is lovely. I jumped in on this challenge too…probably on a whim! Oh well. Like the tweet said…that’s why I am in.